Jesus spoke many of His teachings in the form of parables. At times, using story and metaphor can really help to teach an abstract idea, but Jesus made it clear that His use of parables was so that some people wouldn’t understand (See my last blog for an explanation of that). For those who have been given the ability to understand, parables can be a rich source of insight. 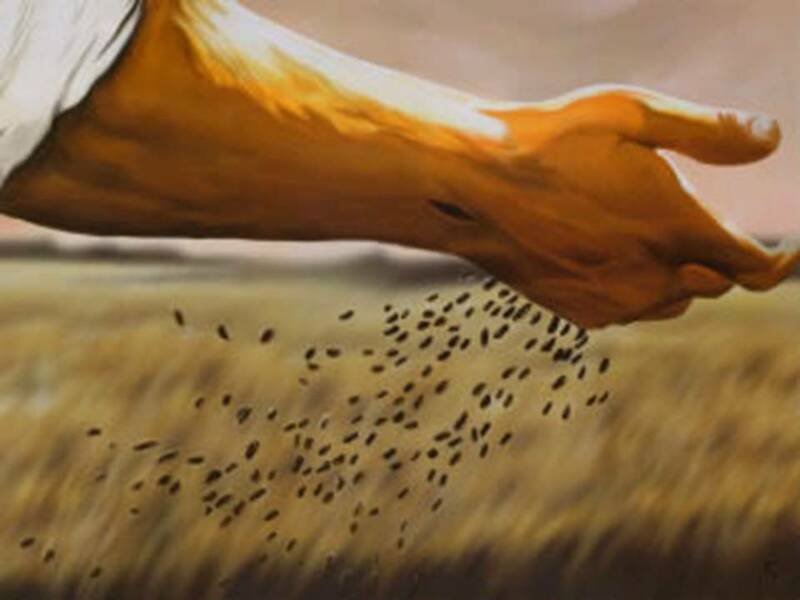 The Parable of the Sower is one of the most important in my opinion. This parable teaches us many things. It tells us something about why a segment of the population does not believe God’s promise and never will. It speaks of two groups that will actually believe but fall away before the realize the true benefit. And it speaks about some (hopefully you) who will not only believe and be saved, but will have impact on many others. What can you learn if you are someone who really wants to help others believe? First, the “sower” isn’t really you. It is God. God sends His Word (the seed) everywhere without concern that it won’t result in salvation in many places. In those places it shows love, but brings judgment. While the sower is God, in practice we are the means by which God does the sowing. The power of God’s Word is what makes a fruitful believer, you don’t. You have one burden, that is to get the seed everywhere you can. Unlike real farming, you can’t tell a hard path person from a good soil person. Some are real foolers. You can be instrumental in breaking down some barriers that a person has in their heart. You can do this with love, patience and answering their questions as best as you can. You should really care, but accept the limitations of your capabilities. If God can’t through to some, neither can you. Next, remember that we are called to make disciples, not merely to evangelize. People do believe and then fail. There are many passages that back this up. Grace begins with a bang. When we believe and are baptized, we are forgiven and saved. Diligent teaching and support is needed from that time on. We can stop when we are in Heaven. Even with this there will be losses. It breaks our hearts, but we can’t let ourselves be discouraged. Finally, we should recognize the value of a few. Each person brought to spiritual maturity is true gold. They are an eternal treasure of great worth to God and to those involved in their discipleship development. Each person who becomes a disciple needs to understand that they are to be multipliers. They in turn bring others. They can bring 30, 60, 100 times what was invested in them. Those in turn can do the same. All of this is due to the power of the Word of God and Jesus who has made it possible with His obedience, death and resurrection. At best, all we were was passively fertile soil. We would only be metaphorical dirt had not the seed came to us. So don’t let the seed stop with you. Previous Are There Some God Doesn’t Want?